We’ve seen a large number of concept products being bandied around the Internet over the last few years. Apart from the usual “next-generation iPhone or iPad” mockups and the “here’s what Apple’s next MacBook” will look like concepts, we’ve also had designers and engineers producing artwork for futuristic cars, robots with advanced artificial intelligence, and even invisible cloaks. With that in mind, it doesn’t seem so bizarre that a team of individuals have put their collective brains together and invented the “Mouse-Box” concept; an everyday looking mouse with an actual functioning computer built inside of it. You may find yourself sitting and asking “why?”. 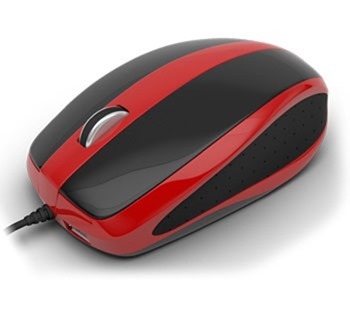 Why do we need a computer mouse with an actual functioning computer inside of it? If the world’s greatest designers, developers and engineers have bothered to ask themselves why then we probably wouldn’t have benefited from some of the world’s most impressive technological advances. It’s unlikely that the Mouse-Box will stand the test of time and find itself amongst that category of inventions, but with that said the creators do put forward a fairly convincing case for why a product like this has a place in what is already an extremely crowded marketplace. The first noticeable thing about the Mouse-Box is that it really isn’t going to sit alongside the likes of the Apple Magic Mouse for the most beautiful computer peripheral. Due to the nature of the beast it sits inside a fairly chunky external casing with two forward-facing standard USB ports and a smaller microUSB offering for connecting to a variety of computers. Removing the external casing reveals a number of built-in internal sensors including an accelerometer and gyroscope, as well as an internal storage capacity of 128GB with the addition of a cloud drive. The wide range of ports on the mouse is also completed by the inclusion of a microHDMI offering tucked away at the rear. 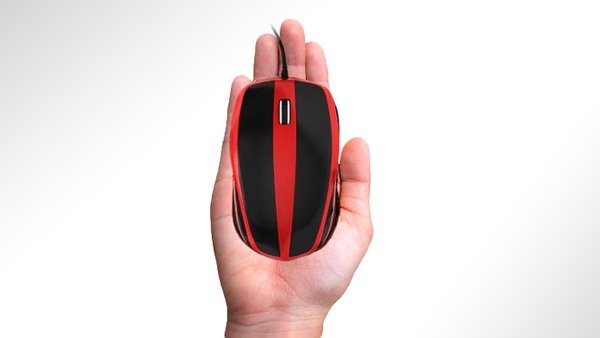 The underlying power of the internal mouse computer would be provided by a quad-core 1.4GHz ARM Cortex processor. In theory, the presence of an optional battery pack would allow the device to be charged via a wireless conductive mat, effectively allowing the Mouse-Box to be loaded with a compatible operating system and used as a portable computer that could offer a plug-and-play solution when used with a monitor or TV. This may only be a concept design at this stage and not actually a real-world functioning product, but it definitely provides some food for thought. So what happens when the mouse inevitably stops working? I wonder if you can just replace the mouse/case? I kind of like the idea of a portable OS. Currently, I manage all my files with dropbox and onedrive. But being able to just plug in a mouse and boot to it would be very interesting from a security standpoint.